This set of crystal champagne saucers, which are a reproduction of a 19th century English design, has been hand-blown and hand-engraved. They can be put in the dishwasher, and unlike antique glass, you can always purchase a replacement if you have to! We provide a next-day delivery service on all UK orders. 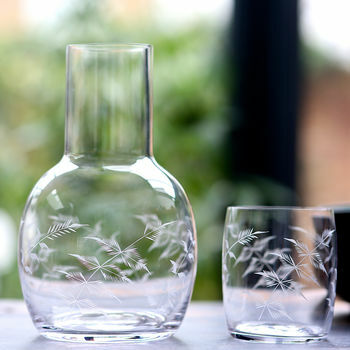 Our carafe sets are made from fine, crystal glass. 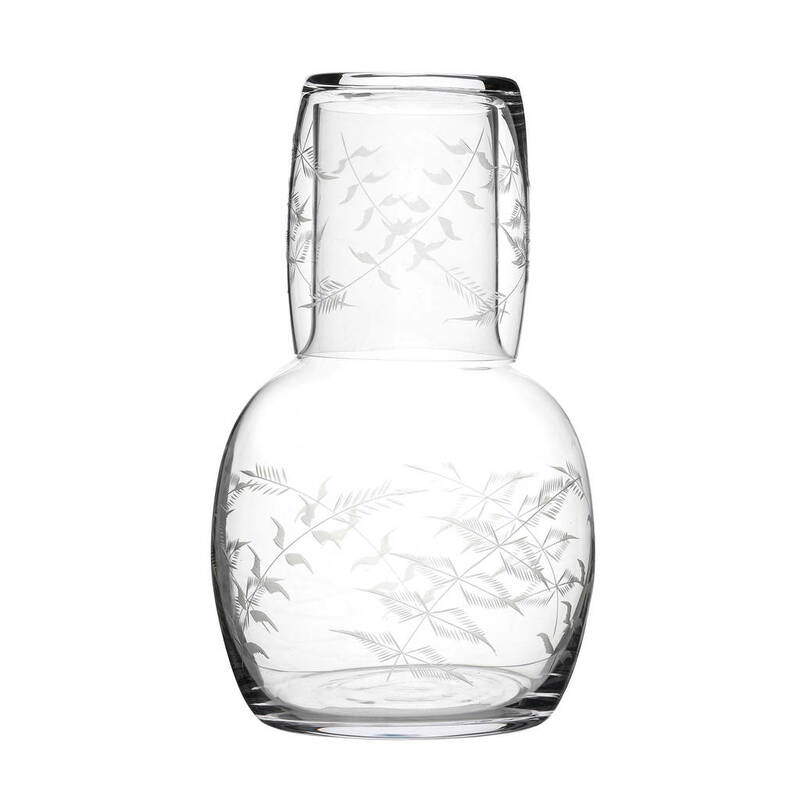 Carafe capacity: 1300 ml. Glass capacity: 270 ml. We offer a free gift wrap service. If you request this service, orders will be wrapped in white tissue paper. We can also enclose a personal note with your order. This product is dispatched to you by The Vintage List.